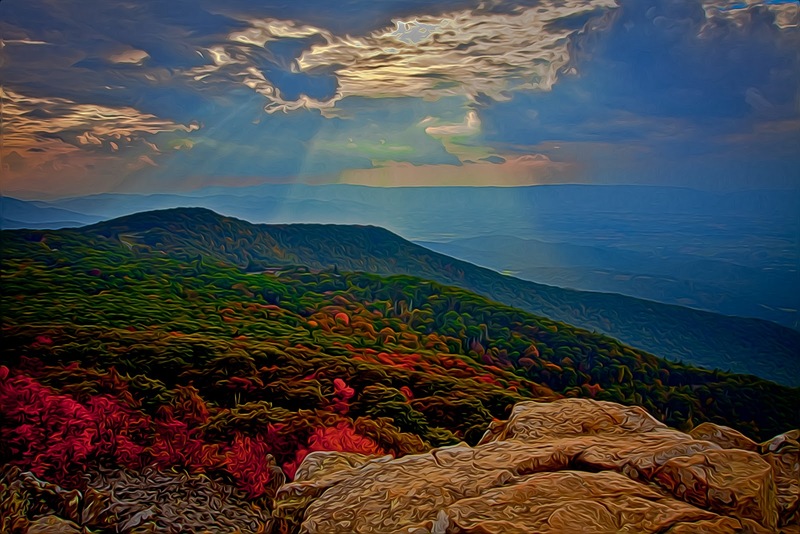 A digital painting, created from an HDR image, of the Shenandoah Valley as the Sun streaks through building storm clouds. Seven exposures, with a 1 ev. spacing, produced the HDR image which was tonemapped with Photomatix Pro 4 and then fed through Pixel Bender.